Buy online 1.5 ft. x 10 ft. x 0.016 in. 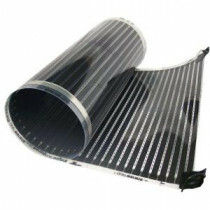 120-Volt Radiant Heat Film for Floating Floors (Covers 15 sq. ft.) QWARM1.5X10F120 and leave review or share with Your friends.